Russian President Vladimir Putin said Thursday he was disappointed the planned summit between President Trump and Kim Jong Un was cancelled and said North Korea was not to blame, reports the Associated Press. “In Russia, we took this news with regret,” Putin said at a news conference with French President Emmanuel Macron. “We had very much counted on it being a significant step in sorting out the situation on the Korean Peninsula and that it would be the beginning of the process of denuclearizing the whole Korean Peninsula,” Putin continued. 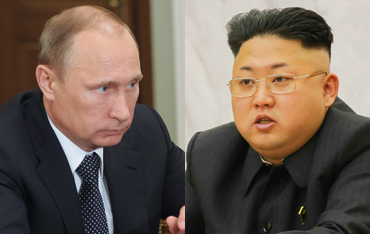 Putin said Kim “did everything he promised in advance,” citing North Korea’s claim that it had destroyed its nuclear testing site.